After all the signs from the ICT business world about the lack of interrest in deploying IPv6 because it should be too difficult and wouldn’t worth the investment, yesterday I found an article (Dutch techworld.nl, read more on Googles blog post) about the deployment of IPv6 at Google. They stress about the ease it takes to implement it. Actually exactly the same I think about it. When I deployed IPv6 about 2 years ago on my own network with the SiXXS and XS4All IPv6 tunnel brokers, it took only a little effort, I even didn’t have to restart my old BSD machines that were used as network gateways to get the network connected via IPv6. The advantages are really there: no annoying NAT issues and no limitations to real Internet IP adresses. Even if you use it only for yourself, there’s a advantage when connecting multiple local areay networks, for example an backup server in network 2 that is pushed from several machines in network 1. For a geek like me it’s even cooler if other internet services not under my control can be used via IPv6. Actually that is the situation where we all want to go in the future. There are already a few and 2,5% of the Mac users seem to be IPv6 connected. So now Google is entirely IPv6 enabled, however their DNS does not return any AAAA records. 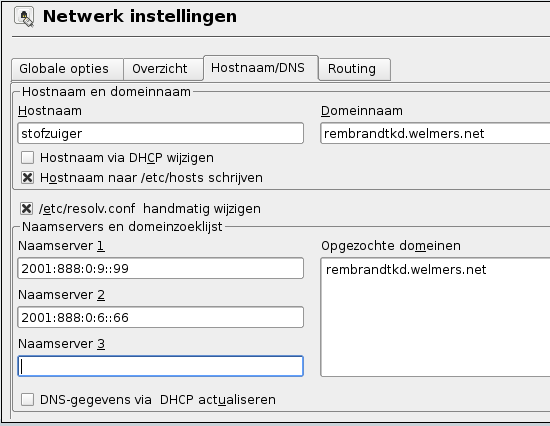 Following http://www.google.com/ipv6 only DNS resolvers on a whitelist will receive AAAA records because else the AAAA records could jeapordize their service availability because of poorly connected or configured network environments. So how to get on the whitelist? There’s no need actually: XS4All has their IPv6 resolvers already on the whitelist. By using the resolvers 2001:888:0:9::99 and 2001:888:0:6::66 in /etc/fresolv.conf instead of your probably ordinary IPv4 resolvers, you will get connected to google by IPv6. Are there any disadvantages? Probably there are. Beside the practical problems if the IPv6 link is down, your Google services will not work too, there are some privacy related concerns. Because IPv6 adresses are auto generated from the MAC address, and every single device connects directly to the peer, the end site (Google here) can gather location related information much easier. How many computers are there in your network, what does there MAC address look like, etcetera. Read more about this. This entry was posted on Saturday, March 28th, 2009 at 12:50 pm	and is filed under English, IT. You can follow any responses to this entry through the RSS 2.0 feed. You can leave a response, or trackback from your own site.